A gathering of writers, scientists, and artists at the Andrews Forest. Science at the H.J. Andrews Experimental Forest is connected with writers, artists, musicians, philosophers, and others in the humanities. In a creative variety of programs, writers, artists, scientists and thought-leaders of many fields come together at the H. J. Andrews Research Forest to reflect on the meaning and significance of the ancient forest ecosystem, as the forest—and its relation to human culture—evolves over time. The convener is the Long-term Ecological Reflections project, a branch of the Spring Creek Project for Ideas, Nature, and the Written Word. Modeled after NSF’s Long-term Ecological Research programs, the Long-term Ecological Reflections programs are distinctive for their commitment to widely interdisciplinary (sometimes, entirely undisciplined), boundlessly creative, and deeply collaborative explorations of the changing forest over generations. The goal is to create ongoing occasions for reflection and creative expression, and to collect a record of the resulting works that extends over two hundred years, 2003 – 2203. 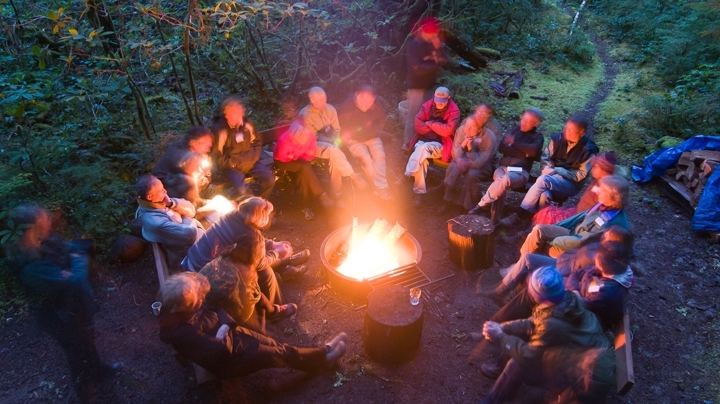 In LTEReflections programs, writers and research scientists live and go about their work in close relation, meeting in the field or around the fire. There is an unusual richness and joy in the community of art and science that expands the perspectives of both. And there is important wisdom to be gained; the more we use all our windows on the world—storytelling and poetry, observation and experiment, myth and mathematics, reason and emotion—the greater our insights into how to live on Earth justly, joyously, and for a very long time. LTEReflections programs include residencies at the H. J. Andrews Research Forest for creative work in prose, poetry, visual arts, and music. The Long-Term Ecological Reflections program hosts two Writers-in-Residence Programs at the H.J. Andrews Experimental Forest: the Blue River Writing Fellowship and the Andrews Forest Writing Residency. Each program occurs twice a year. Creative writers whose work reflects a keen awareness of the natural world and an appreciation for both scientific and literary ways of knowing are invited to apply for the Andrews Forest Writers Residency. The Blue River Fellowships are offered to well-established writers by invitation. See the Writers-in-Residence site for more information. The Blue River Writers Gathering is a biannual gathering at the HJ Andrews Experimental Forest intended to be an inspiring and restorative weekend for northwest 'nature' writers—a chance to meet one another, share our stories, give each other courage in difficult times, and find to solace and insight in the deep streams and ancient forests of the Blue River watershed in Oregon. The Forest Log is an online collection of works created as part of the Long-term Ecological Reflections program at the Andrews Forest; to date, it holds the work from the first sixteen years of the planned two hundred year record. 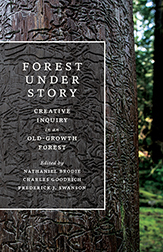 The book, Forest Under Story: Creative Inquiry in an Old Growth Forest (University of Washington Press, 2016) is a selection of works from the Forest Log edited by Nathaniel Brodie, Charles Goodrich, and Frederick J. Swanson. The H.J. Andrews Experimental Forest and Long-Term Ecological Reflections program has hosted many visiting artists and inspired many artworks. Some of these works are on display at the Andrews Headquarters. The Andrews Forest LTEReflections program supports a national network that links similar programs, supporting arts and humanities work at dozens of LTER sites and biological field stations. Work includes contributing to workshops and symposia at national meetings, collaborating on inter-site projects, and providing research data about programs and motivations for this Arts-Science work. The network’s website is http://www.ecologicalreflections.com/.